The concept of Blockchain was introduced when Satoshi Nakamoto released his whitepaper ‘Bitcoin: A Peer to Peer Electronic Cash System’ in 2008. The whitepaper introduced a new technology based on a peer-to-peer system of transacting Bitcoin, the world’s first cryptocurrency. Blockchain aims at creating digital trust by registering information in a public domain, which cannot be tampered or manipulated. Blockchain and Bitcoin were used interchangeably in the initial days. Blockchain technology has far more potential to be used for some critical applications in a wide array of industries. The blockchain is a decentralized and open ledger that registers transactions between parties and eliminates the need for any third-party authentication. This characteristic makes blockchain versatile for numerous applications. Can Blockchain Revolution Impact the Digital Publishing Industry? Blockchain can disrupt the digital publishing industry by solving the issues that publishers and content creators face. Blockchain can simplify content distribution and can make the monetization process more effective. Blockchain in publishing can bring a lot of benefits to the publishing industry with its characteristics. Authors or content creators always need to depend on a third party service provider for content distribution, payment gateways, and transactions. Distributors of digital content like Amazon take a chunk of the revenues that were meant for the authors. By using blockchain, publishers can eliminate the intermediaries and help the authors retain their share. This technology will enable readers to create micro-payments and authors will be able to track their eBooks’ distribution. The problem of copyright infringement and piracy has plagued the publishing industry for a long time. With blockchain, publishers can automatically time stamp and person stamp all digital content. The process is far more effective than watermarks which serve no real purpose. You can also ensure that the copyright belongs to you and the owner can be traced back to the content creator, even when an eBook has changed several hands. Blockchain will benefit all stakeholders in a publishing project by enabling smarter profit sharing according to some predefined rules. Any party contributing to a publishing task can be linked using the public ledger feature of the blockchain. Along with the author, all other participants can be remunerated for their work. Smart contracts can carry out clauses according to predefined rules and automatically assign revenues to stakeholders. For publishers and authors, books are not the primary source of revenues. Many fanfictions, translations, or ancillary projects are associated with a published book can also be distributed for profit. Publishers and authors can copyright these ancillary projects and enjoy their share of royalties if they are marketed well. Blockchain simplifies the tracking process and eliminates the need to seek permission to carry out a transaction. Blockchain enabled smart contracts can carry out pre-programmed tasks and fulfill the conditions of an agreement. Such contracts will be able to handle and execute aspects, like reimbursing costs, remunerating and sharing profits. Blockchain can ensure a secure payment system for publishers and authors with smart wallets. The encrypted wallets will be able to deal with pre-defined cryptocurrencies or tokens used within an ecosystem of a project. Authors and publishers will be able to receive payment directly in their wallets without the need for a third party executing agency. Blockchain can enable the free and secure exchange of digital content. Readers will be able to own, share as well as sell digital content, as they please. Blockchain can track and keep a record of every transfer of ownership with automatic payments made into the smart wallets following the preset rules. 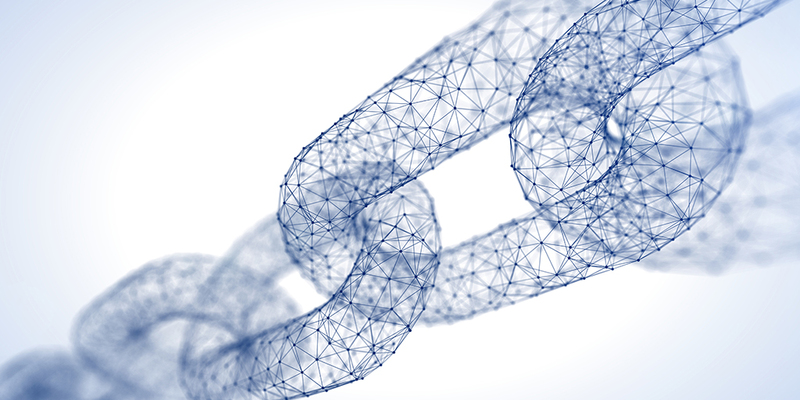 Blockchain can simplify maintaining copyright and ownership of digital content resulting in reduced costs associated with the supply chain of books. We are in the initial stages of using blockchain for digital publishing. The potential benefits of blockchain and its application in the publishing industry surely point to a bright future. We will see blockchain become an integral part of the publishing industry, which enables content creators to retain their intellectual property rights and ensure secure distribution.